Ambient Air Quality monitoring or Testing is a process of measurement of pollutants present in atmosphere. 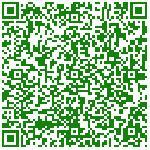 It measures healthiness and safety of our environment. Ambient air quality is defined as the quality of air outside and sometimes inside. Ambient air quality standards are limits to concentrations of pollutants in air stated for well being of human, nature, animals, etc. There is no specified definition of standards but various organizations but they are not often similar. Ambient air quality monitoring is also called as Outdoor Air Quality Testing. Why Ambient Air Quality Monitoring or Testing Required? property is getting adversely affected. In order to arrest the deterioration in air quality, Govt. 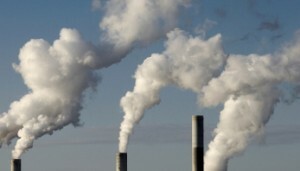 of India has enacted Air (Prevention and Control of Pollution) Act in 1981. The responsibility has been further emphasized under Environment (Protection) Act, 1986. Therefore, Central Pollution Control Board had started National Ambient Air Quality Monitoring (NAAQM) Network during 1984 – 85 at national level. The program was later renamed as National Air Quality Monitoring Program (NAMP). Ambient air quality monitoring & testing is required to determine the existing quality of air, evaluation of the effectiveness of control program. National Air Quality Monitoring Program is described in this chapter along with details on pollutants measured and their frequency. Guidelines for monitoring are made for carrying out AAQM under NAMP and description of the program is essential as the monitoring is carried out to meet the objectives of NAMP. Various Equipment are used to find amount of Air pollution done by particular source called ‘’Air Monitoring Equipment.’’ Evaluation of Ambient Air for determination of community air Quality as related to local health, Social & Environmental Effects. Determination of suspended particulate matter as small as one micron size & any four gaseous contaminants at a time. Under N.A.M.P., 12 air pollutants viz., Sulphur Dioxide (SO2), Oxides of Nitrogen as NO2 and Particulate Matter (PM10) and Particulate Matter (PM2.5), Ozone (O3), Lead (Pb), Carbon Monoxide (CO), Ammonia (Nh3), Benzene (C6H6), Benzo-Pyrene (BaP), Arsenic (As), Nikhel (Ni) have been identified for regular monitoring at required the locations/ Industrial unit. Among all these parameters Particulate matter is the most important pollutant present in the atmosphere. It is also called as Particulate matter Monitoring or Dust Monitoring. As per CPCB Notification under National ambient air quality monitoring standards (NAAQS). These Results can be converted into Non Technical way so that everybody can understand the level of pollution. it is called as Air Quality Index (AQI). Below mentioned are National Ambient or Outdoor air quality standards (NAAQS Standards) which are used in ambient air monitoring. The period and frequency of ambient or outdoor air quality sampling procedure should be such that statistically reliable averages can be obtained with the data i.e. 8 Hrs or 24 Hrs. National Ambient Air Quality Standards (NAAQS) states that it should be 8 Hrs monitoring or 24 Hrs as per requirement. Particulate matter levels are lower during the monsoon months due to removal by wet deposition. Air pollutants such as CO levels are higher during winter months due to lower mixing heights resulting in less volume of troposphere available for mixing and hence higher concentrations. Thus measurements should be conducted in all the seasons so that in annual average all the seasons are represented equally. In general minimum 20% of the reading should be taken in each season. Ambient air quality monitoring is required to determine existing quality of air and evaluation of control program. High Volume Air Sampler consist of filter holding assembly, High capacity blower, U-tube Manometer, Rotameter, impingers housed in detachable fibre case, inlet filters, voltage stabilizer & Timer. Continuous air quality monitoring station constantly samples and test ambient air and provide instant reading to the nearest monitoring center. Recently Indian government has installed more than 50 continuous air quality monitoring stations in India in Metro cities. We offer Ambient air monitoring & Testing Services in India. Our Company is completely adept in offering customized ambient air monitoring services as per clients requirements. 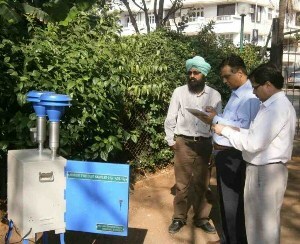 Our highly qualified and experienced professionals are capable in monitoring air for toxin level, pollution degree etc. Also we have periodically calibrated instruments as per Pollution control board guidelines. As Environmental Consultants We offer services in Soil Analysis, Water Analysis, Environmental Monitoring, Air Quality monitoring, Ambient Noise level Monitoring and Stack Emission Monitoring. If you have any Questions or want to know more about our Environmental Quality Monitoring services please fill up below form. Also read More What is Air Quality monitoring? The Monitoring frequency depends on the category of your company falls in. for example Red category company has to conduct monitoring more frequently as compared to green category company. it can vary from Monthly/Quarterly/half yearly etc.